This review is a little on the late side, but hey, I have 3 kids. Can a person change their fate? Should they try? How much control over one’s own destiny does a person have? These are the questions that drive the plot of Disney and Pixar’s newest animated film, Brave. 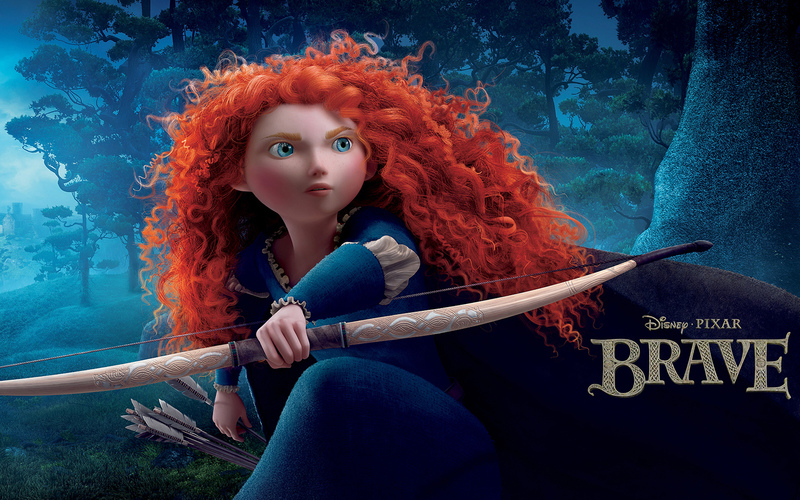 Set in rural Scotland, Brave tells the story of young princess Merida, a free-spirited archer with a heart for adventure. As the daughter of the king, Merida is required to be married in order to further peaceful relations between the clans, and her mother has been grooming her for this task. However, Merida seeks freedom from the traditions of her people and, more importantly, from her mother’s seemingly strict authority. She rebels against her mother’s wishes and rides off into the forrest where she is given an opportunity to change the life that lies ahead for her. As a twist on the classic princess story, Brave works well. It does not follow the all too familiar cliches of the damsel in distress who is rescued by a nearly nameless prince who apparently has every quality necessary for lifelong companionship. It also does not fall into the Little Mermaid trap, the rebellious teenage girl who gets everything she ever wanted. 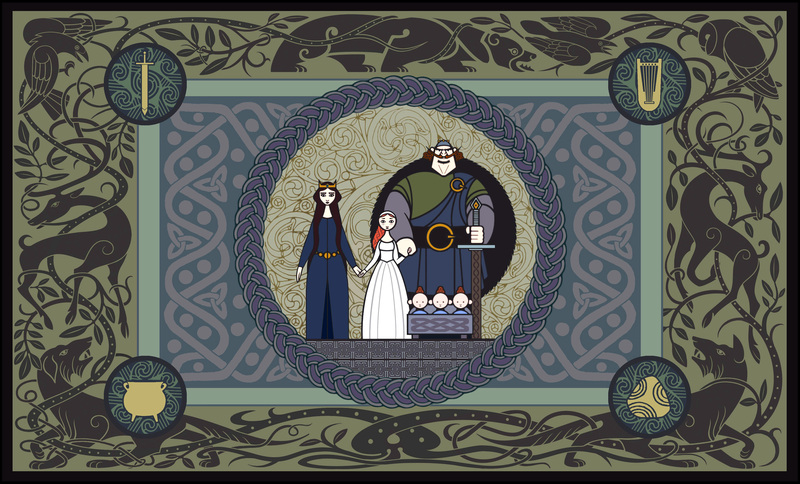 As a story, Brave is well-told, though relatively predictable. It is a Disney princess movie anyway. There are certain things that can and can’t happen, which is limiting for storytellers like the Pixar people who have not shied away from more complex story developments (see Up or Finding Nemo). Even still, working within the framework of Disney’s princess world, they fought for ways to expand and explore the possibilities. So, while feeling always familiar, Brave stands out as a fresh look into a world we have grown so accustomed to. As a Pixar film, Brave settles somewhere in the middle, with added marks for it’s entrance into positive female protagonist territory. Because of the nature of the film, Brave has more the flavor and feel of Tangled and The Princess and the Frog, than Incredibles and Up. 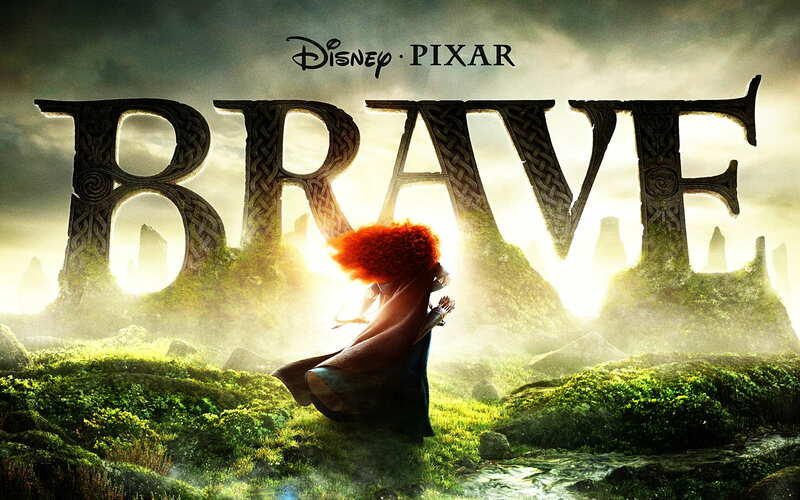 If I were ranking Brave among its Pixar peers, it easily beats the Cars films and probably A Bug’s Life, but beyond that I’d have a hard time placing it. Time will tell if Pixar has begun to run out of truly compelling and original story ideas, but not every film can be a masterpiece, even for a studio that has an untouchable feeling to it. As a visual treat, it is up there with the best digital animation around. There were moments, especially early on in the film that I was captivated by the sheer beauty of what I was seeing, stunned that people are able to create such depth and color with mouse clicks and keystrokes. There is no shortage of beautiful scenery to draw from when your movie is set in the Scottish highlands, as any Braveheart fan can tell you. The Green hills and Gray skies that fill the screen breathe with life. But perhaps most impressive of all was the mane of red flowing hair that sits atop the head of princess Merida. There are times during the film when you wonder how on earth she can keep her head up. It’s as impressive a head of hair as Rapunzel. At the heart of the story is Merida’s relationship with her mother. In view is the age old story of tradition versus personal freedom. So while the overarching theme of the movie is the question of fate and destiny, the characters are challenged to consider whether something is right simply because it has always been, or whether there is wisdom in the new. This is a decidedly human issue and one that continues to make cause tension between generations, as young people come into their own and older people begin to feel the loss that comes with living in an ever changing world. But more than this, Brave is a refreshingly honest look at what makes a mother daughter relationship so complicated and so beautiful. It is a story about true reconciliation. It is not forced or trite. It is not easy or painless. It is bought with sacrifice and selfless love. This is a decidedly Christian theme, rooted in the storyline of God’s redemption narrative, to reconcile the world to Himself through Jesus. This theme is written on our hearts, it’s part of the fabric of creation, something world cannot escape, and something world needs to see. Though it’s doubtful that Brave will explicitly point people to Jesus, as always, it does afford the discerning Christian who is looking for opportunities to “give an answer for the hope in us”, another chance to proclaim the reality of God’s saving work in Jesus. This entry was posted in movie reviews, Movies. Bookmark the permalink.